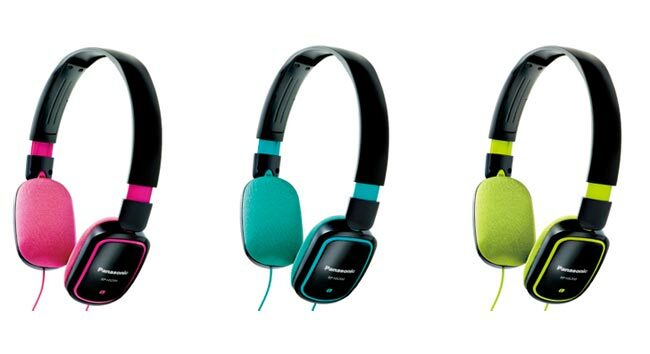 Panasonic have added a new range of overhead headphones to their line-up the RP-HX300 and RP-HX200 which are available with brightly coloured accents and earphones. The news designs weigh just 88 – 99g and have been designed to be as light as possible providing a comfortable listening experience. With regards performance the new Panasonic range has an impedance of 32Ω and 116cB/mW sensitivity with 35mm drive units for the RP-HX300 and a pair of 30mm drive units for the RP-HX200. The new headphones will be arriving in the Japanese market shortly, available in pink, aqua green and yellow, hope you like your gadgets bright, but unfortunately Panasonic has not yet released details on their pricing.